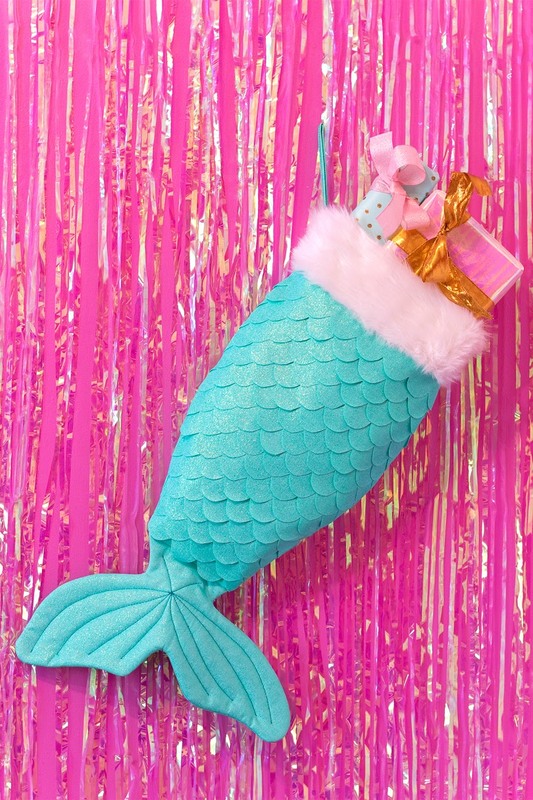 ... a very sparkly mermaid stocking. This is going to be the only time I'll start my post with a rhyme, I promise - I'm too excited to be anything but cheesy right now. 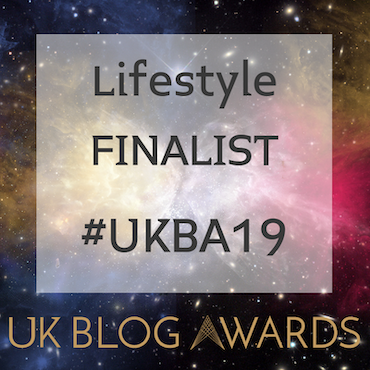 I started planning blogmas way back in August, so keeping things a secret for that long has definitely not been easy. 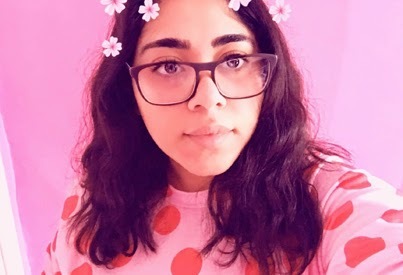 So let us start this the right way, and welcome to the first day of blogmas, and the first of many (12 yay! ), creative posts I have put together, and let's begin on an idea a little more special than most. I'm classing this as special because I have been waiting over a year to actually create this diy and share it with you. Last year I got an excellent idea to make a stocking just like this one, but it was too late as I had already planned all of my blogmas posts. I even left it written in my notes on my phone just in case I had forgotten; obviously, I wouldn't forget something like this. I am slightly glad I waited because I had enough time to plan and make this the perfect stocking. Are mermaids still a thing? I hope so. Well, they definitely are for me... as you can tell. So a mermaid stocking - because regular, red stocking-shaped stockings are boring. 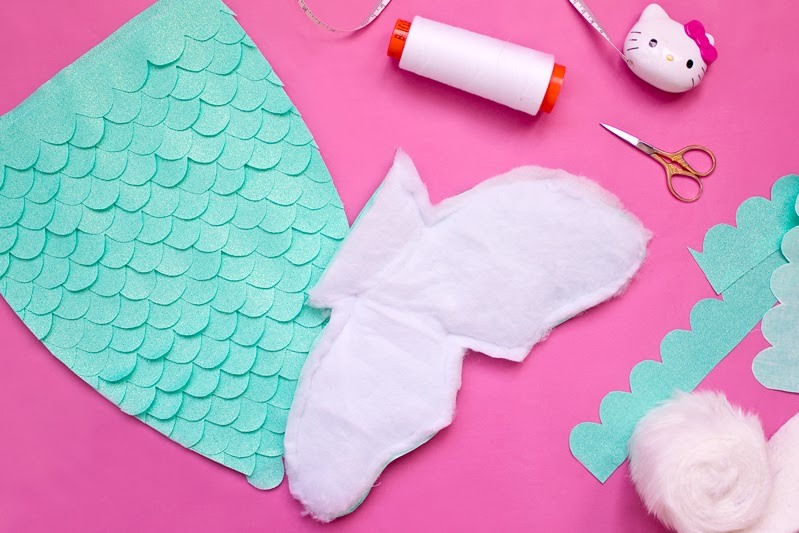 A scalloped jade coloured, mermaid tail is way, way, way better. Whether it's one stocking or a family of stockings, they would look great decorated on your fireplace, hung on your bed post, or tucked (proudly) under the tree. The only thing you'd have left to think about is what to pack it with. What do you like to find in your stocking? I usually favour chocolates, mini beauty products, very cute and possibly white socks. 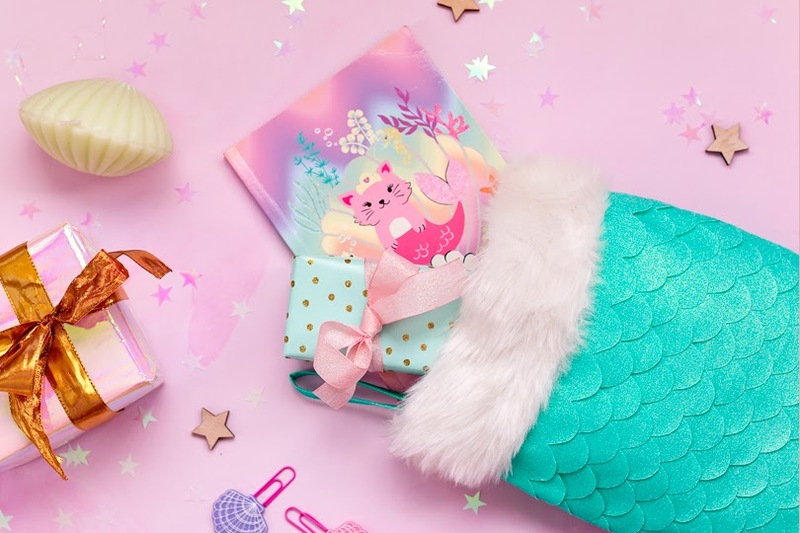 In case you just can't get enough of mermaids, check out my mermaid gift guide for lots of festive ideas, or if beauty products are more your things, I have even more inspiration in a pastel gift guide. I think we have slightly gotten ahead of ourselves talking about how to fill our stockings, without actually having made one; but don't worry, they're easy to make and can be customised depending on your style or your skill set. First of all, let's talk about fabric. This can be any colour, print, or texture you like, as long as it is a medium-weight fabric, quite sturdy, and with very little stretch as it's going to have to hold in many gifts. I chose a jade cotton with a glitter finish. Not only is it sparkly and very festive, but the glitter coating stopped the fabric from fraying making it easier to cut and keep the scales looking like erm...scales. If your fabric does fray, you may need to back it onto fusing which will help keep it all together. Maybe scales aren't your thing. You can adapt the tutorial easily to fit a scaleless design with a plain fabric. Or maybe you've found a fabric with a pattern or texture you like (sequins maybe?!) you could use instead. 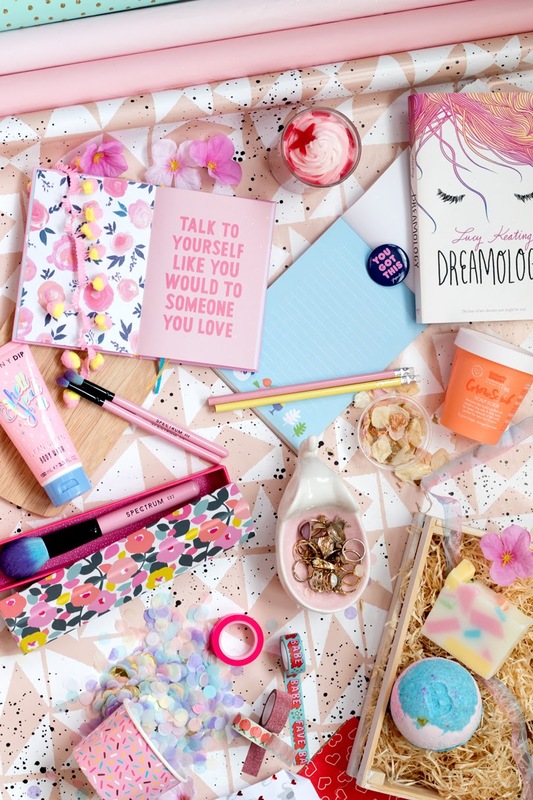 What I love most about my diys (yes, a compliment to me), is I share my idea with you which you can use, or can inspire you to give it your personal touch. To construct your stocking, I would recommend using a sewing machine, but you can always hand stitch or even use a hot glue gun if that's what you're most comfortable with. 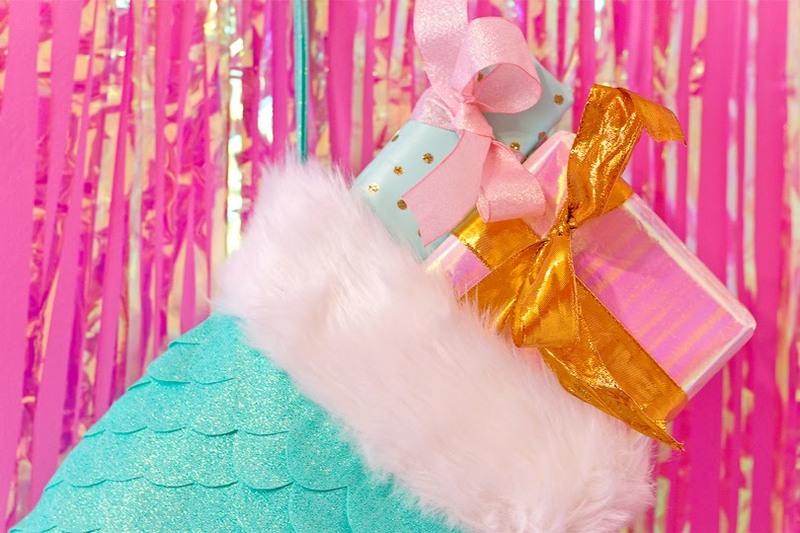 I have lots of creative posts coming up all the way through December from tree decorations, to cards, to room decor, all with a very "Aycan" vibe - think pastels, glittery, and very, very cute of course. Have you heard of Christmas Eve boxes? Why not store the gifts in a stocking, which would not only be a creative idea but could also be a part of the gifts as a reusable stocking the year after. Now that we have covered all the bases, let's get making. 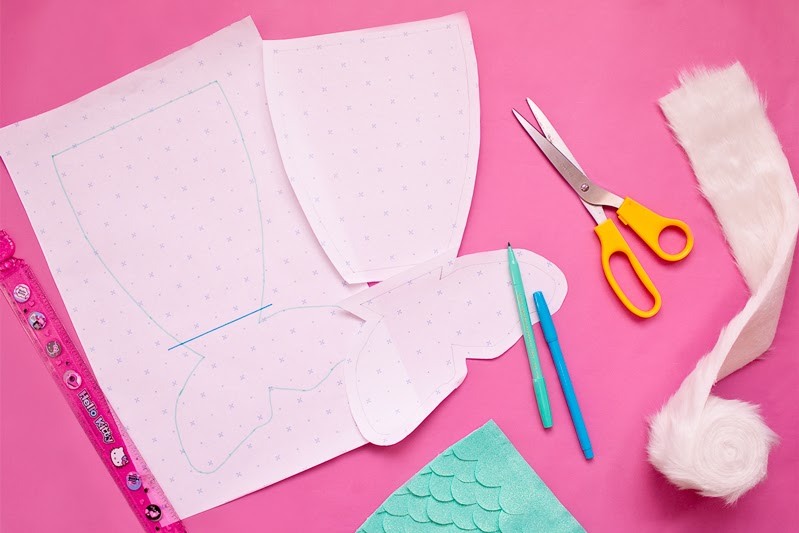 On a large sheet of paper draw your mermaid stocking outline, and then draw a straight line where you'd like your stocking to end and your fin to start. Place another sheet of paper on top and trace around the stocking and then the fin so they are two sepeate pieces. Draw a 1cm seam allowance around each piece and cut out. Cut out one side of your stocking from a piece of fabric. I chose to use a plain white piece as this is going to be covered up by the scales so it won't be seen. 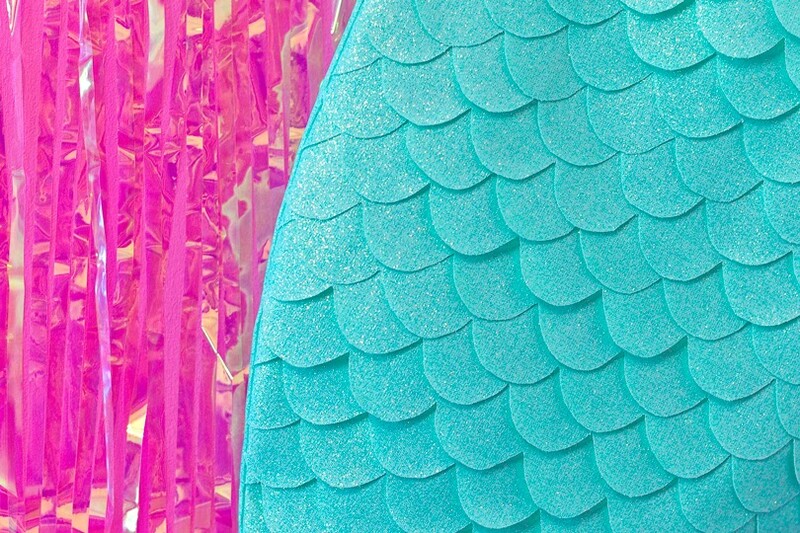 Create a template for your scales and cut this out of your glitter fabric. Start sewing from the bottom up overlapping the row of scales each time. 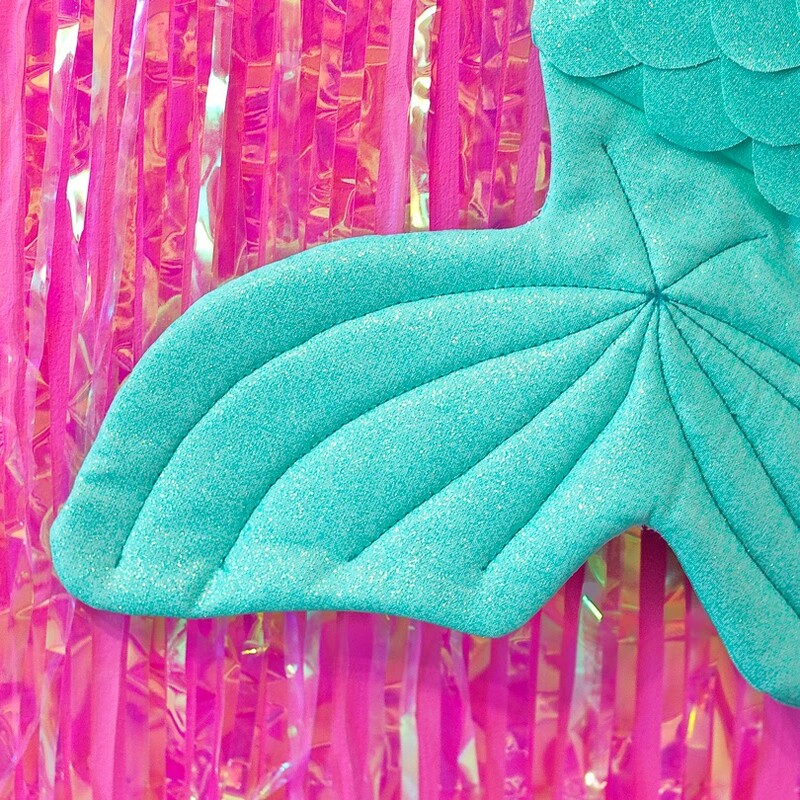 With each row, line up the scales to meet the centre point of the previous row to create your typical mermaid scales. Don't worry about any fabric overhanging, you can carefully trim that off once you have finished sewing all your scales. 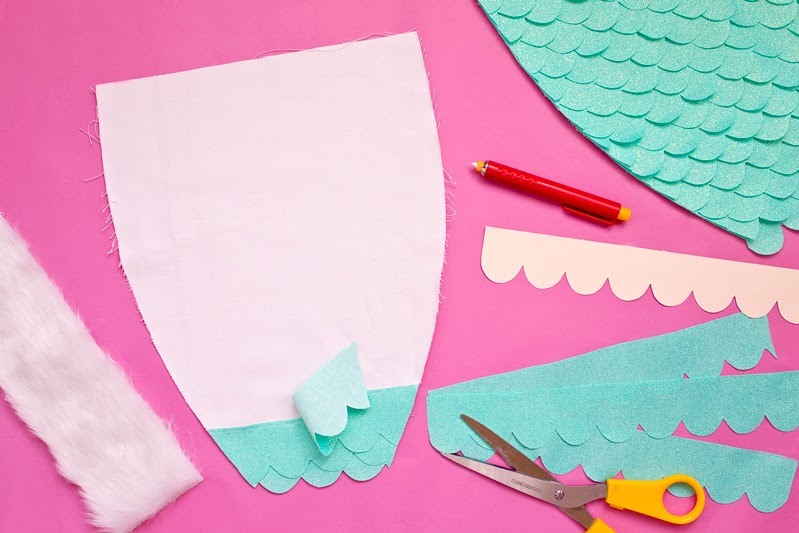 Fold your fabric in half, place your fin templete on top and trace. Cut to create two pieces. Place the pieces together with the right sides facing and pin a piece of wadding on top. Sew around the edge using your 1cm seam allowance leaving the top open. Turn your fin the right way around and iron any creases out, and make sure the points are crisp. Optional: sew lines through your scales to create a pattern. Cut out the back piece of your stocking. 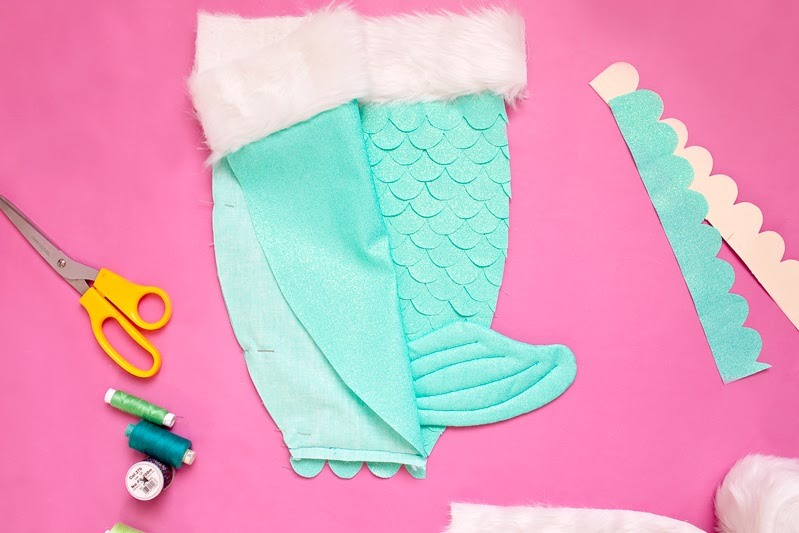 Attach and sew the faux fur across the top of each stocking piece. Now take the back of the stocking and place it down with the front of the fabric showing. 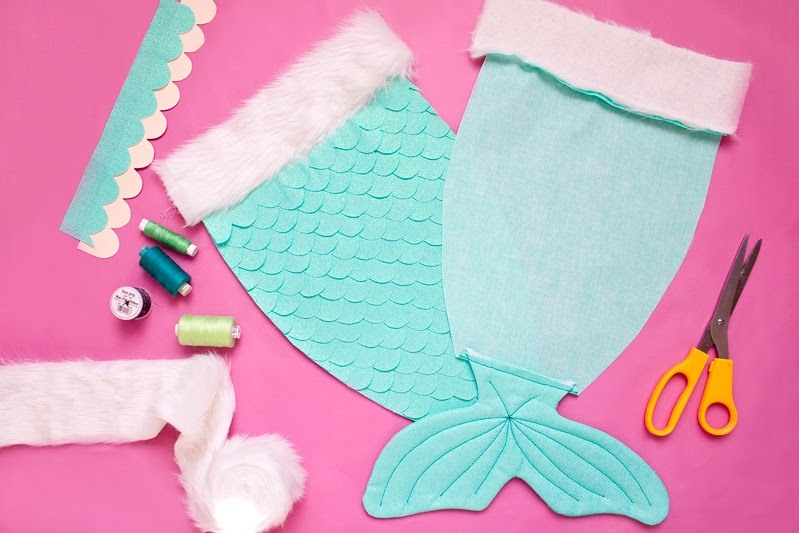 Pin the fin to the bottom and sew. Check and see that the back of the stocking is looking as you'd like it. Line up the stocking pieces with the right sides facing and pin into place. Tuck the fin inside and sew all the way around (minus the top) making sure not to trap the fin under the needle. Turn the stocking the right way around and iron the edges nice and crisp. 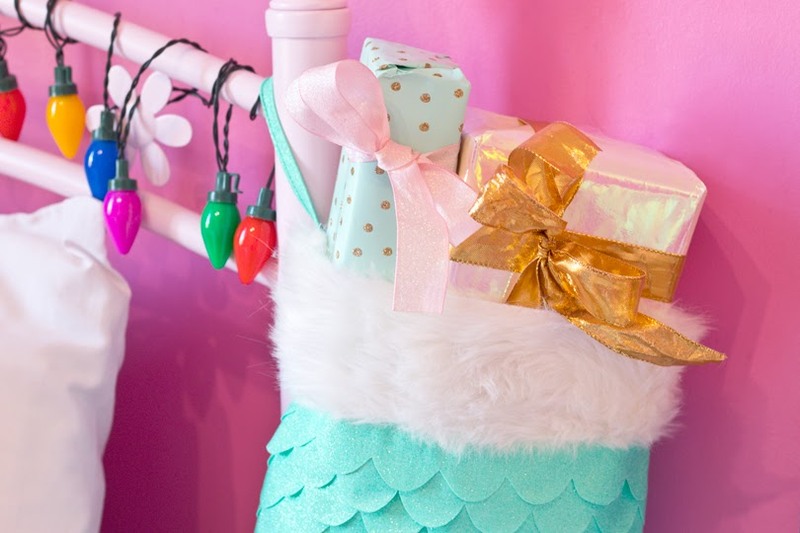 Create a little hook with any extra fabric and attach that to the inside of your stocking. All you have left to do is fill your stocking with lots of treats! I have been dying for the right time to hang up my stocking. Ok, that's a lie, it's been up since I made it, but I guess it can officially be presented now. Let me know in the comments below what you think of my stocking, and if you're going to give it a try. If you're inspired to make your own, make sure you let me know as I would love to see it. To keep up-to-date, don't forget to check back to my advent calendar to find out what's next.